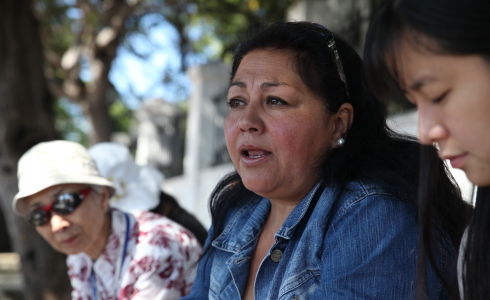 At 14, Viviana Fernandez was imprisoned and tortured by the military dictatorship of Pinochet in Chile. For three decades she did not touch the topic, not wanting to aggravate her family’s discrimination and isolation. Many of the 1000 children, that were imprisoned under Pinochet, are traumatized until now. Today Viviana helps other former child prisoners to improve their self-esteem and to be recognized for their political resistance.